Ready to tear it up in a new Vita title? Here you go! Are you a fan of Senran Kagura or Kenka Bancho? Looking for your next big fix? Uppers is Marvelous' latest project, and from the look of things, you're going to want to get in on this colorful party. Set on an island where people just fight as a form of entertainment, and outlaws grou up for some sick version of Fight Club. It's called Last Resort Island, and all anyone really does there is engage in knock-down, drag out battles using only their fists. As you can imagine, some crazy stunts are pulled there on the daily. 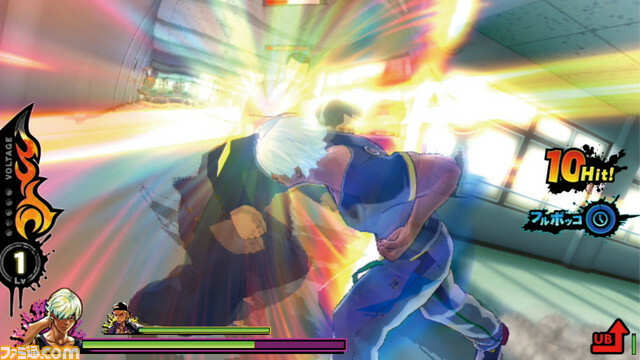 Instead of beautiful ninja women, Uppers takes muscle men and pits them against each other in colorful fights with special techniques, even the ability to break and interact with the environment as you brawl. We'll see Uppers launching in Japan for the Vita in spring 2016, but judging from the rest of the game releases we've gotten as of late, we'll probably see this come westward too.